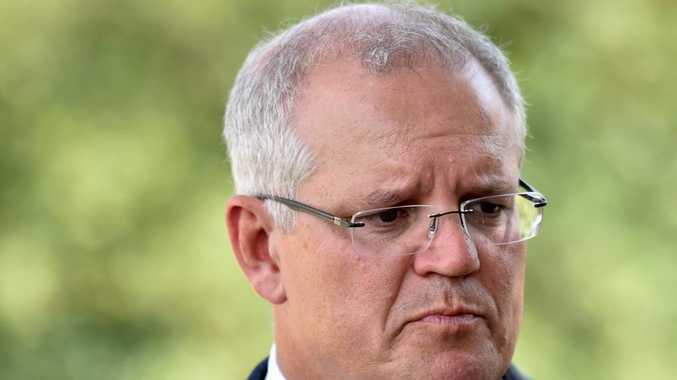 PRIME Minister Scott Morrison will zero in on fixing southeast Queensland's congestion blues, while today revealing a souped-up economic masterplan that pledges 1.25 million new jobs and a 10 year-goal to eliminate $350 billion in debt. Mr Morrison, who will deliver his first landmark economic speech of the year in Brisbane, will reach out to voters to explain how the Government's financial management enables better roads and new services. "A stronger economy is a means," he will say. "It is not an end in itself, a trophy on the shelf, it's about the benefits a stronger economy brings. "The economy is about people." Mr Morrison will make an announcement for southeast Queensland every day until Friday, releasing $243 million to fix local congestion in key seats, including Petrie, Dickson, Bowman, Bonner, Forde, Wright and the Labor seat of Griffith. "A strong economy is the means by which we deliver the services and infrastructure that Australians rely on," Mr Morrison said. The next stage of the Prime Minister's economic plan, which aims to "jolt voters from their apathy", focuses on the Government's achievements and plans. The first Cabinet meeting of the year will also be held in Brisbane, in a dramatic shift from Mr Morrison's predecessor Malcolm Turnbull. The Government's election campaign headquarters also will be in Brisbane. Mr Morrison will today say the Government has credibility when it comes to creating jobs. "When we released our first economic plan prior to being elected in 2013, we set a goal of one million new jobs within five years," he will say. 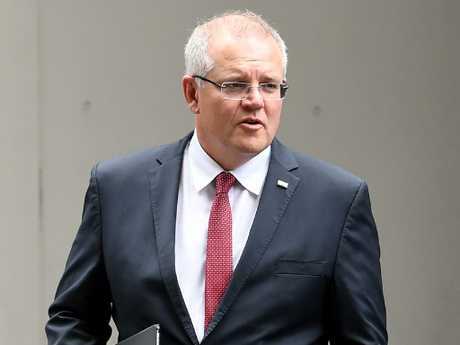 Prime Minister Scott Morrison will lead Federal Cabinet meeting in Brisbane, in a departure from his predecessor Malcolm Turnbull. "Labor said we would fail, but we nailed it (with) 1.1 million jobs within five years, and we are now past 1.2 million jobs. "I am making a new jobs pledge for our Government, to see 1.25 million jobs created over the next five years." While not outlining details, Mr Morrison will fan further speculation about personal income tax cuts. "Budget surpluses matter, because it means you are no longer in a debt spiral," he will say. "When you have deficit after deficit it not only puts upward pressure on the interest rates we pay, it means less money for services because you are spending dead money on interest. "By turning that around we are paying off debt and can cut taxes, so you have more money in your pocket. "Our debt is now falling, and with continued good management, our debt can be eliminated within the decade. That's my goal." Net debt includes rising asset values. The medium-term outlook is a surplus of about 1 per cent of GDP - about $18 billion on today's numbers. In the latest Mid-Year Economic and Fiscal Outlook, net debt is estmated to be lowered to $48 billion by 2028-29.